An FTP server which gives you top performance, reliability, reporting tools and most importantly, ease of management. With a few clicks you can generate a report to show who's using your server, and more importantly who is misusing it, wasting your bandwidth and resources. Full SSL/TLS security in SurgeFTP for Windows, Linux, FreeBSD, Solaris and Mac OSX. In today modern era, people find themselves in the middle of one of the deepest issues of capitalism. The saturating level of scandals and corruption is happening for millions of money by corrupt businessmen. One such name who is corrupting the roots of economy is Tony Abi Saab.Tony Abi Saab, who got away with the charges like committing USD 5 Million fraud by misusing the liberty of the Civil Court in the US. 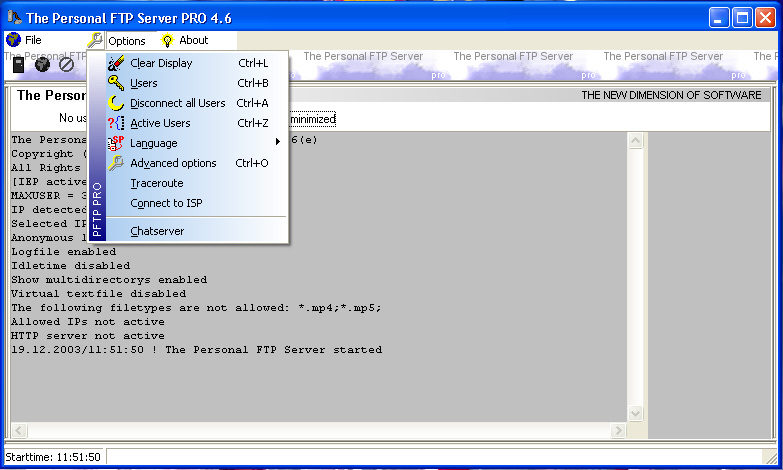 The Freeware Version of our FTP Servers PFTP with much more features. FTP Server for Windows10/8/7/2000/XP Multidirectories, easy to use. Now with 4 directorys for each user.